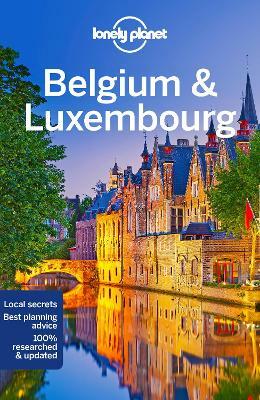 Lonely Planet Belgium & Luxembourg is your passport to the most relevant, up-to-date advice on what to see and skip, and what hidden discoveries await you. Explore Unesco listed belfries in Bruges and Tournai, savour Belgian pralines at a Brussels chocolatier, or stroll along the... read full description below. Lonely Planet: The world's leading travel guide publisher Lonely Planet Belgium & Luxembourg is your passport to the most relevant, up-to-date advice on what to see and skip, and what hidden discoveries await you. Explore Unesco listed belfries in Bruges and Tournai, savour Belgian pralines at a Brussels chocolatier, or stroll along the river gorge in Luxembourg City; all with your trusted travel companion. Get to the heart of Belgium & Luxembourg and begin your journey now! Inside Lonely Planet's Belgium & Luxembourg Travel Guide: Colour maps and images throughout Highlights and itineraries help you tailor your trip to your personal needs and interests Insider tips to save time and money and get around like a local, avoiding crowds and trouble spots Essential info at your fingertips - hours of operation, phone numbers, websites, transit tips, prices Honest reviews for all budgets - eating, sleeping, sight-seeing, going out, shopping, hidden gems that most guidebooks miss Cultural insights give you a richer, more rewarding travel experience - history, culture, politics, religion, art, comic strips, music, architecture, cuisine, beer. Over 40 maps Covers Brussels, Bruges, Ghent (Gent), Antwerp, Mechelen, Tournai, Liege, Luxembourg City and more The Perfect Choice: Lonely Planet Belgium & Luxembourg, our most comprehensive guide to Belgium & Luxembourg, is perfect for both exploring top sights and taking roads less travelled. Looking for a guide focused on Bruges & Brussels? Check out Pocket Bruges & Brussels a handy-sized guide/handy-sized guides focused on the can't-miss sights for a quick trip. Looking for more extensive coverage? Check out Lonely Planet's Europe guide. About Lonely Planet: Since 1973, Lonely Planet has become the world's leading travel media company with guidebooks to every destination, an award-winning website, mobile and digital travel products, and a dedicated traveller community. Lonely Planet covers must-see spots but also enables curious travellers to get off beaten paths to understand more of the culture of the places in which they find themselves.